Products are stored on edge so the color names are easy to read. 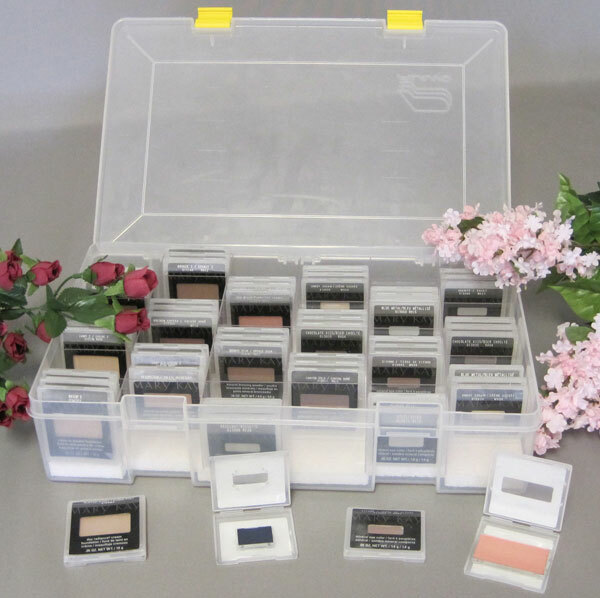 The case will hold 108 mineral eye, cheek, bronzing powder, highlighting powder, cream foundation, cream-to-powder foundation or pressed powder products. The case closes tightly with two latches and measures only 3-1/8” deep x 9” x 14”.